During his 14-year tenure as the head coach of Texas A&M, R.C. Slocum compiled an overall record of 123-47-2, won four conference championships and oversaw some remarkable streaks, winning 31 consecutive games at home from 1990-95 and going 29 straight conference games without a loss from 1991-94. One of the keys to Slocum's success throughout his time as the Aggies' head coach was hiring top assistant coaches. Future college head coaches such as Bob Davie, Bob Toledo, Mike Sherman, Phil Bennett, Tommy Tuberville, Steve Kragthorpe and Kevin Sumlin all played major roles in A&M's success under Slocum, along with many other outstanding assistants. With budget constraints and salary limitations, Slocum says it wasn't always easy to keep those assistants in College Station. But the unsung hero in keeping coaches and their wives happy was Weldon Jaynes, who along with his wife, Judith, was recently honored by the 12th Man Foundation as the 2013 recipient of the E. King Gill Award. The award is presented annually by the 12th Man Foundation to honor supporters who have generously helped the organization realize its mission of funding scholarships, programs and facilities in support of championship athletics. The award also recognizes those donors who have shown the commitment as a volunteer advocate of the athletic program through exemplary service and leadership while demonstrating a high level of distinction as a role model in career, service and ethics. 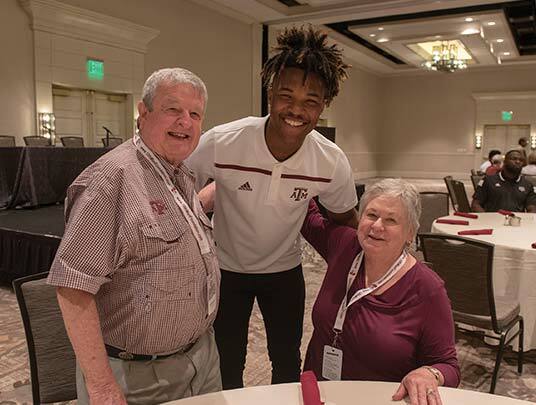 All of those attributes certainly apply to Jaynes, Class of '54, who served as chairman of the Board of Trustees of the 12th Man Foundation in 2004 and has been a longtime financial supporter of the organization. The unassuming Jaynes has been honored numerous times previously for the financial contributions he and Judith have directed to Texas A&M and the 12th Man Foundation. For example, the men's basketball head coach's office at the Cox-McFerrin Center for Aggie basketball is named in honor of Jaynes. But, as Slocum pointed out, Jaynes is not one who seeks recognition for his contributions to A&M. "Weldon is kind of a behind-the-scenes contributor who has done a lot of things that he never even got credit for," Slocum said. "One thing he did the whole time I coached, which was a big thing to me, was take the entire coaching staff and their wives on some kind of a trip after recruiting. It was really beneficial to me in hiring and keeping coaches because that was a great selling point and a great benefit. That was something that was never publicized. He did it on his own dollar. He didn't want anything for it. He didn't get any priority points for it. He just did it because he wanted to do it. "Some years we went to Colorado and went skiing. We went to Acapulco several times. We went on fishing trips and golfing trips and so forth. The wives still talk about those trips. That was where the staff really got to know each other, and it was just kind of a reward after a long season for the families to get together and take a trip. We weren't paying crazy salaries or anything, so that was one of the real perks. I guess I am letting the cat out of the bag right now, but Weldon will have to deal with it because that is a great example of what a wonderful supporter he has been through the years. He's a great friend to Texas A&M." Jaynes has always been a sports fan, dating back to his high school playing days at Valley Mills, a small community approximately 25 miles northwest of Waco. Jaynes was a high school football and baseball player back when there were only three classifications for Texas high school athletic programs, as defined by the University Interscholastic League. "There were three classifications then: AA, A and B," Jaynes recalled. "I was a frustrated Class B football and baseball player in high school. The only reason I got to play is because it took 11 people to play football and it took nine people to play baseball. I was No. 11 and No. 9, and that's the truth. If there had been one more boy, I probably would have never played a down or an inning." 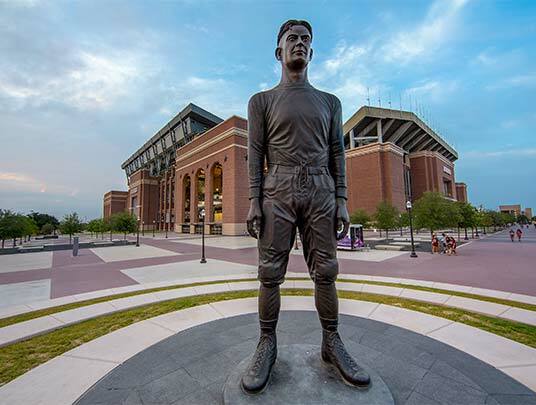 Jaynes had no illusions of playing sports at A&M, but he was an avid supporter of the Aggies' athletic teams upon his arrival in College Station in the early 1950s. After graduating from Texas A&M in 1954, he served in the Air Force and then returned to the Lone Star State, where he says he was fortunate to receive an opportunity to partner with the owner of an electric utilities supply organization called Priester Supply, which had been founded in 1932. Thanks in large part to Jaynes' leadership, Priester expanded to operate 10 full-service utility branches and became the largest regional utility distributor in the southwestern and south central United States. "We did business about 99 percent with investor-owned utilities in the state of Texas," Jaynes said, recalling his start with Priester. From there, we were strictly an electrical distributor of transmission and distribution material. We gradually grew the business to be both an agency and a distributor. In the meantime, we created an agency only for the electric utilities. Then we established an agency for the telecommunications business. The next thing I knew, 44 years had gone by, and I was on the sidelines again. It went by just like that. 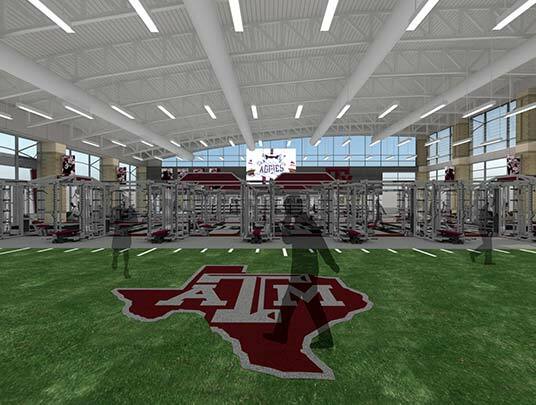 Throughout that whole time, my greatest passion was Texas A&M University and Aggie athletics." Jaynes had long been a donor to the 12th Man Foundation, but he had not volunteered his time and leadership abilities until former chairman of the Board of Trustees Charlie Mattei challenged Jaynes to become more involved with the organization in the 1990s. "Charlie persuaded me to throw my hat in the ring with the nominating committee, and to my surprise, I was nominated," Jaynes said. "Then after three years, I had no intentions of becoming what was president then. Several people, including Mattei, Jim Peterson and Rod Stepp, said you should at least write a letter saying you'd accept (the role as president) if they nominated you. I wrote a brief letter for that, and lo and behold I was surprised again to find out I was chosen to be president. "When it was all said it done, I was the most surprised person to ever become president." Jaynes, who in 1995 was selected to the Texas A&M Lettermen's Association Hall of Honor, says he was most proud of helping to start and grow the 12th Man Foundation's Major Gifts Department during his tenure on the Board of Trustees. "I was placed on a board that was quite willing to establish the Major Gifts group," Jaynes recalled. 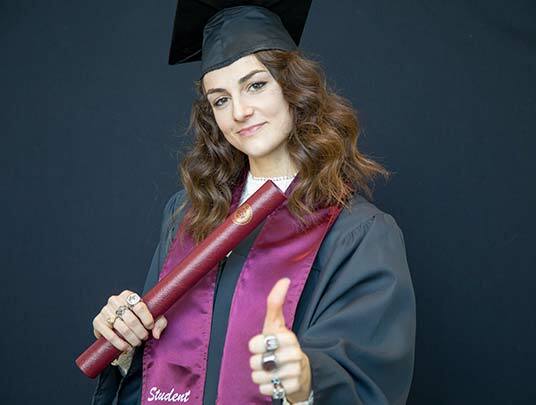 "We were able create about a 16-page brochure that showed where we really were in fundraising as compared to our peers and more successful members of the conference. That opened some eyes. Then the board, which I thought was the wisest decision we have made in a long time, decided to establish a Major Gifts group and hire a professional to lead us in fundraising. "I think that was the real turning point in the fundraising efforts of the 12th Man Foundation. It wasn't our job to hire coaches, fire coaches or hire athletic administrators. Our sole purpose, as I saw it then, was that we needed to be raising money for the athletic department. I'm so happy that Stu Starner came our way. 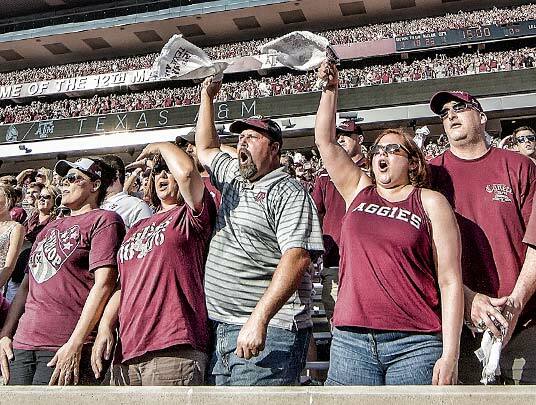 He put together a staff that that is there now—Travis Dabney, Kelly Corcoran and Jacob Green—that is the heart and soul of the 12th Man. I would say I am most proud that that happened on my watch. It wasn't done by me, but a board that was devoted to go that way." 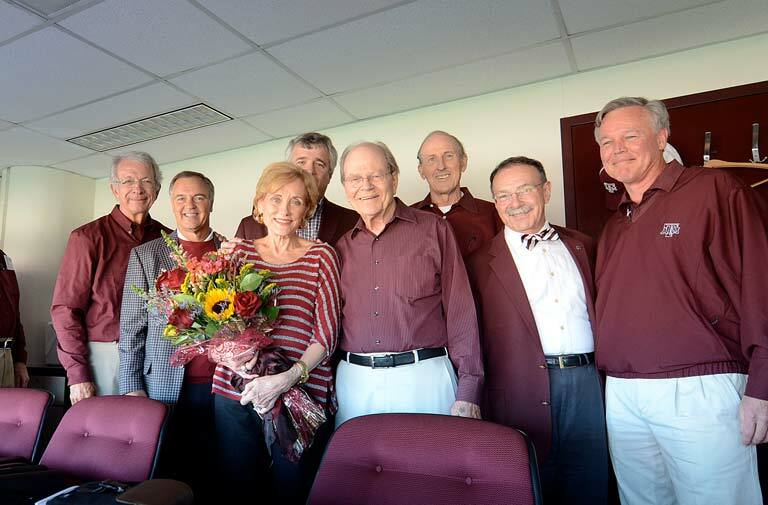 When a contingent of Texas A&M officials and 12th Man Foundation employees arrived at Jaynes' suite on the west side of Kyle Field during halftime of the A&M-Auburn game on Oct. 19 to make the announcement that Jaynes was the recipient of the E. King Gill Award, Weldon and Judith were stunned, to say the least. "I had no idea what was happening until (12th Man Foundation president) Skip Wagner walked in with an arm full of flowers," Jaynes said." It took me a little bit for me to figure out what was going on, as I had never even considered the award. There were so many other people that were ahead of me in line as far as I was concerned. I'm naturally thrilled to receive the award, but I'm also embarrassed that we have so many good guys out there who should have been selected before me. " Slocum disagrees, saying Jaynes is certainly deserving of such recognition. "Weldon has been a great supporter, and the thing I have always admired about him is that he supports A&M and coaches, through thick and thin and in good times or bad," Slocum said. "There are not many people like him, as he is a totally supportive guy and doesn't want recognition." "Weldon has been a great supporter, and the thing I have always admired about him is that he supports A&M and coaches, through thick and thin and in good times or bad." © 12th Man Foundation | All Rights Reserved, Designed by SUMMIT ATHLETIC MEDIA.